We're usually in a rush when we pass by roads and highways but did you know that each street and each name got a story to tell? Here are some familiar roads with exceptional stories. Epifanio de los Santos Avenue, or EDSA, is history's witness in the ouster of two Philippine presidents and an attempt to unseat another. Initially the North-South Circumferential Road, construction of EDSA began in the 1930s and was named Avenida 19 de Junio, for Dr. Jose Rizal's birthday, in 1946. It was later called Highway 54 but was again renamed after a long debate on whether to keep calling the road Avenida 19 de Junio or to name it after Rizal himself. 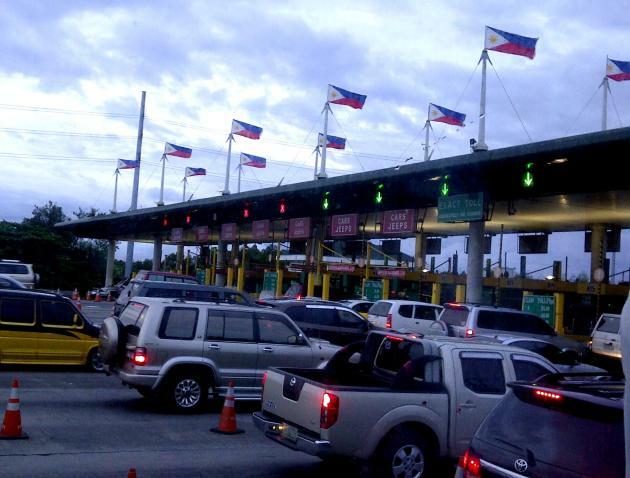 It was instead named after Epifanio de los Santos, "a son of (Rizal) province and the foremost Filipino scholar, jurist and historian of his time." A former district attorney, governor of Nueva Ecija, member of the Malolos Congress and the Philippine Commission, and provincial fiscal, de los Santos ended his public service career as director of the Philippine Library and Museum. Like Rizal, de los Santos was a polyglot. He could speak Spanish, English, French, German, Ita, Tingian, and Ibalao. He even translated "Florante at Laura" into Spanish. He was also an accomplished writer, gaining membership in the Spanish Royal Academy of Language, Spanish Royal Academy of Literature and Spanish Royal Academy of History. He contributed to the Philippine Revolution by publishing "Libertad", a patriotic newspaper in Malabon. He later joined General Antonio Luna on "La Independencia". Leon Kilat St. in Cebu City, which houses the University of San Jose-Recoletos, is named after Leon Kilat, a former circus performer and a leader of the Philippine Revolution in the Visayas. Born in Negros Occidental as Pantaleon Villegas, he took the name Leon Kilat--from his first name and the Bisaya word for lightning--when recruited into the Katipunan by Emilio Aguinaldo, the National Historical Commission of the Philippines says. Leon Kilat and other rebel leaders in Cebu planned to capture the provincial capital on April 8, 1898 but had to launch the revolution early. The Spanish were able to get a list of the rebels and Kilat and 6,000 revolutionaries had to act before they were arrested. They seized Talisay town on April 3, and, after two days of fighting, entered Cebu City, overpowering 40 Spanish soldiers guarding the capital. "During the bloody encounter with the enemies, Leon Kilat fought the enemies like lightning," NHCP said. Spanish reinforcements arrived soon after, however, forcing the revolutionaries to retreat to Carcar town. While resting from battle, Kilat was murdered in his sleep "by political opponent or by faithful residents of Carcar who opposed the plan to make the place a rebel stronghold," NHCP said. 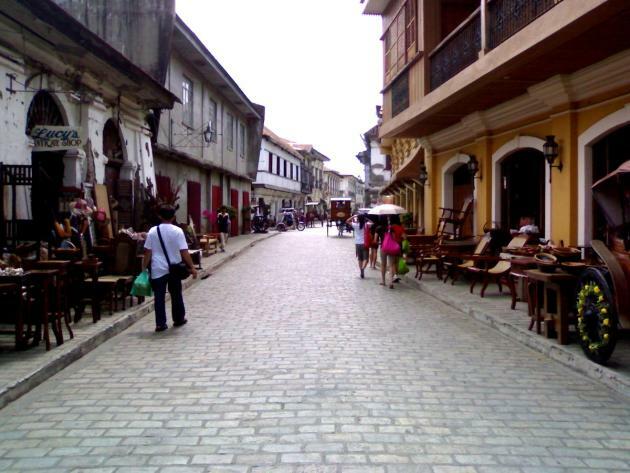 Vigan, Ilocos Sur is known as a heritage site. Few know, however, that the street where most of Vigan's historic houses are found is named for someone who's also a huge part of Philippine history and heritage. Calle Crisologo is named after Mena Crisologo, a revolutionary, lawmaker, governor, and poet. According to the NHCP, Crisologo joined the Candon Rebellion in 1895 and was arrested and tortured by Spanish authorities. He later became a member of the Revolutionary Congress and was among those who signed the Malolos Constitution. He served as governor after the U.S. captured the Philippines and was instrumental in many of Ilocos Sur's infrastructure and commercial projects during his term. Crisologo is also an icon of Ilocano literature, with his "Nagtacneng a Panagsalisal" (Noble Rivalry), considered a classic. Halsema Highway, which connects Baguio City to Bontoc, Mountain Province was named after Eusebius Halsema, the last American mayor of Baguio City. According to family-run website Halsema.org, "Under Halsema's direction, Baguio was gradually transformed from a sleepy village of 5,000 people connected to the lowlands only by one-way roads to a prosperous city of 25,000 with paved roads and an air link." During Halsema's 17-year administration, city subsidies were used to pay for the construction of the Mountain Province High School and other schools, construction of the Burnham Park auditorium, expansion of the city market, and tourist attractions. The Halsema Highway, where the highest point on the Philippine highway system (in Atok, Benguet) can be found, was built under the guidance of then Baguio Mayor Halsema with the help of local residents. He stayed behind in Baguio after stepping down as mayor in 1937 and was captured by the Japanese during World War II. He died in 1945 when the U.S. Air Force bombed the city during the liberation of the Philippines. Mendiola Street in San Miguel, Manila leads to Malacanang and has been the site of many clashes between police and activists. In 1970, it was a witness to the "Battle of Mendiola Bridge," which left several activists dead. In 1987, 13 farmers died and hundreds were injured in the "Mendiola Massacre" when shots were fired into a crowd of thousands of farmers marching to the Palace. In 2001, supporters of ousted President Joseph Ejercito Estrada also trooped to Manila to protest Estrada's arrest and to demand his release. 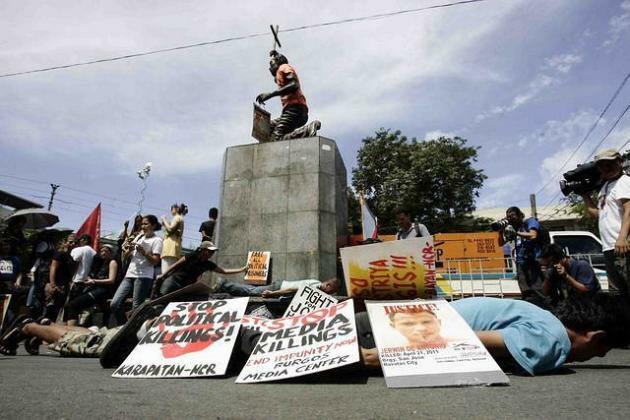 President Gloria Macapagal-Arroyo declared a state of emergency because of violence and looting during the march. Incidentally, the bridge was named for Enrique Mendiola, an educator and textbook author who later served on the first Board of Regents of the University of the Philippines. He did join the Philippine Revolution, but as a director of Instituto Burgos, a school founded by the revolutionary government. Mendiola crosses Chino Roces Bridge, also called Mendiola Bridge, which is named after publisher Joaquin Roces, who openly marched in protest against the Marcos administration. He founded the Cory Aquino for President Movement in 1985 and began a signature campaign to get Corazon Aquino to run for President against Marcos. something just as heroic as Aguinaldo did during the revolution: Work for a living. Katipunan Avenue in Quezon City, named for the Kataas-taasan, Kagalang-galangang Katipunan ng mgá Anak ng Bayan, itself has a place in history. The University of the Philippines, site of the 1971 Diliman Commune and a center of student activism even after Martial Law, is along Katipunan. Pinaglabanan Street is the site of an actual battle, the first real battle of the Philippine Revolution. According to the NHCP, Katipuneros led by Andres Bonifacio, Emilio Jacinto, and Sancho Valenzuela captured El Polvorin, a Spanish powder magazine in what is now San Juan City, at dawn on August 30, 1896. They also laid siege to El Deposito, the water works deposit office. Armed with bolos and "homemade guns", the Katipuneros were soon repulsed by better-armed and better-trained Spanish reinforcements. "But the courage and fortitude shown by the Filipinos that historic night in late August should have warned Spaniards that although they would win the battles, Filipinos would eventually win the war," NHCP said. The site of the battle is marked by the Pinaglabanan Memorial Shrine while the San Juan Elementary School stands on where El Polvorin used to be. Although most towns and cities in the Philippines have a street named after Dr. Jose Rizal, Avenida Rizal in Manila is probably the grandest and most famous of them all. Created from two streets, Calle Dulumbayan and Calle Salcedo, in 1911, Rizal Avenue the main street and the shopping and cultural center of Manila well into the 1960s. Named after national hero Dr. Jose Rizal, Avenida Rizal was aptly the center of Manila's consciousness in its heyday. On this avenue, which used to be the longest road in Manila until EDSA was constructed, stood the Manila Grand Opera House, and movie theaters designed by National Artists for Architecture Pablo Antonio and Juan Nakpil. Avenida is still a bustling thoroughfare today but the theaters and departments stores that lined it in the 1950s and 1960s have since closed down. Now lined with tiangges and stalls selling everything from motorcycle parts to pirated DVDs, Avenida Rizal is still a main road for many from Manila, and even from other cities, who ride the Light Rail Transit lines.